Hello! I'm back in Richmond! And I'll be here for the rest of the summer. This summer, I hope to revive my blog. My blog is honestly like my baby and I know that it's fallen a little bit dormant in the past few weeks but I have more time and energy to put into it now that I'm home. I'm also really excited for this summer because I got an internship with RVA Mag. It is such a great opportunity and will provide me with crucial experience that will benefit me later when I try to begin a career as a fashion journalist. I will tweet the links to all of the articles that I write for RVA Mag so before sure to follow my twitter (@ToriRadday) to stay updated with it. 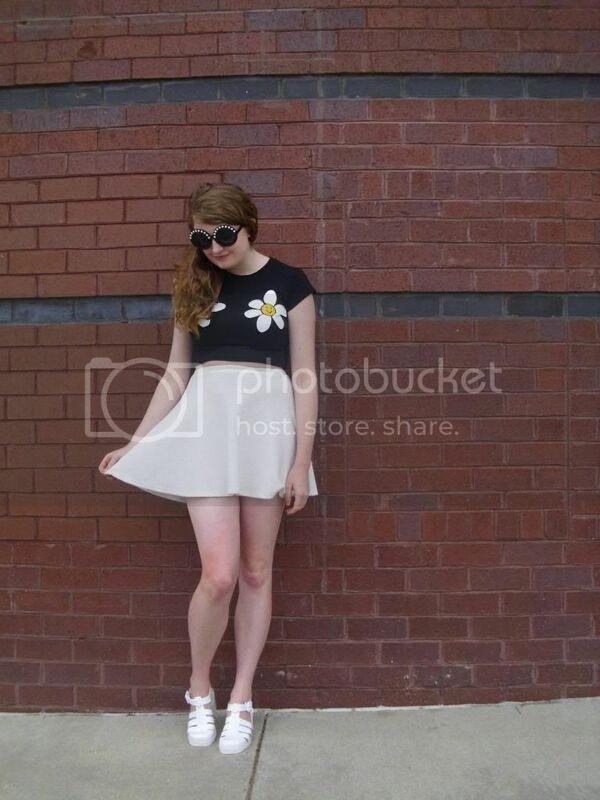 Today, I started my look with this quirky daisy crop top. Looking through my wardrobe this season, my wardrobe is filled to the brim with daisy printed pieces. I'm pretty sure that not a week has gone by this spring when I have failed to wear a least one daisy printed piece. I wanted to go for a bold, graphic look and decided to stick with a primarily black and white color scheme. 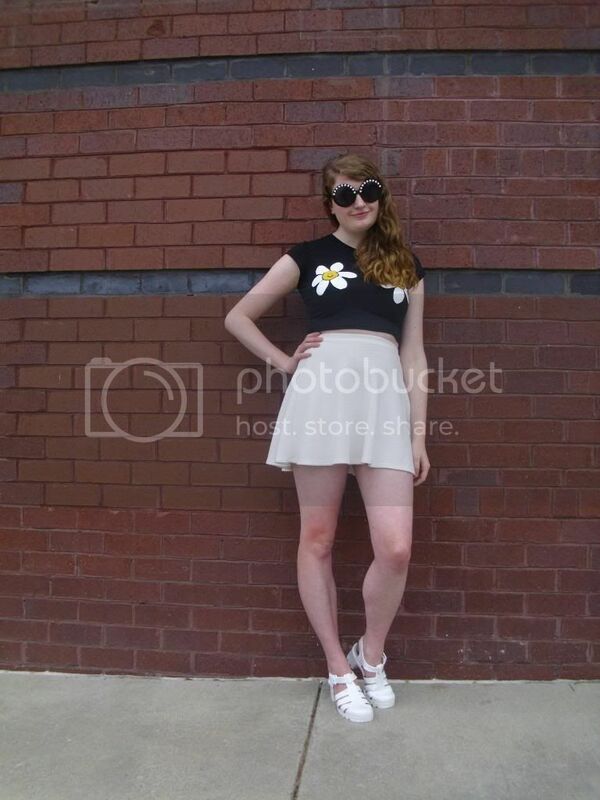 I paired the crop top with a white, high-rise circle skirt and playful white jelly sandals. Pearl embellished sunglasses completed the look. Also, can I say that I'm so jealous of your legs?! They're perfectly toned. Congrats on getting that internship! It'll be such great experience for you..